When I found out that my family was coming into town for the holidays for the first time in 4 years....I went a little nuts. And the base in which I measure 'nuts' is already pretty far off the scale. 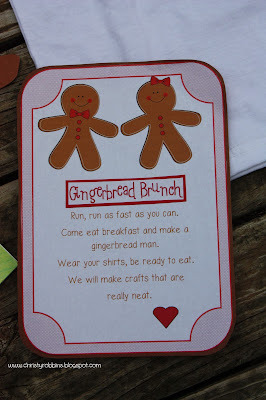 One of the 7,564 things I did in the 6 days they were hear was throw a gingerbread brunch...mostly for Blythe and Jonathan, but I let others attend...they just didn't get the shirts. Blythe is all about the party as well. A few years ago when she came I threw a princess party and when she came over that evening and I asked her what she had been doing all day she said she had colored and 'waited for the princess party.' 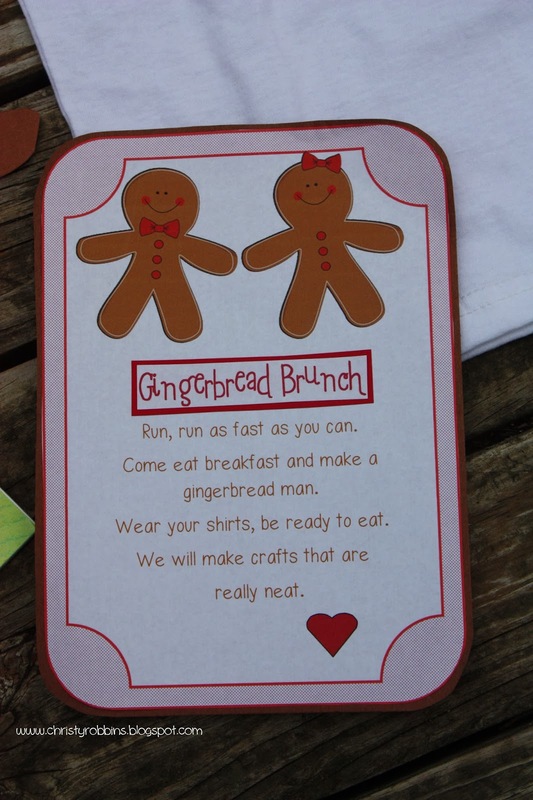 I knew I had to send an 'invitation' and some fun stuff to get her and Jonathan (as much as a two year old can be...) excited about the brunch...and more importantly the gingerbread crafts we would be doing. ...and then I made some party shirts to wear. 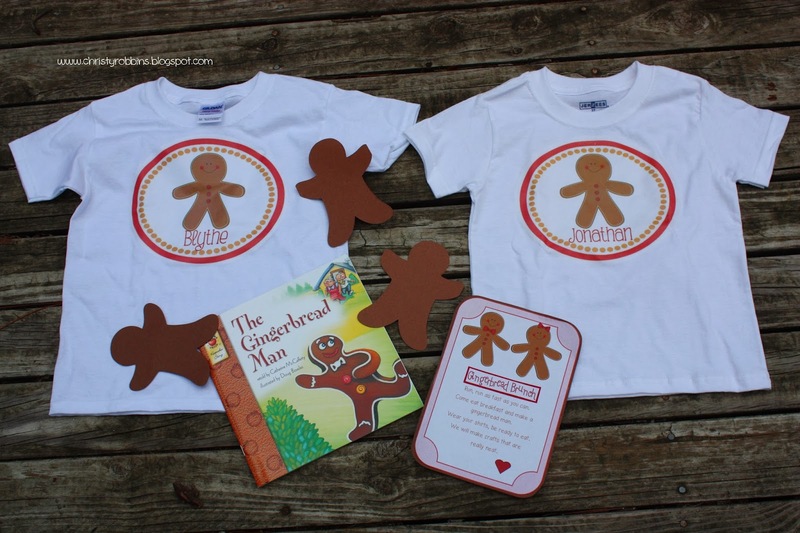 I hunted down some cute shirts I liked, then designed my own in paint using some free clipart. I used some tshirt transfers to print them on and then iron them down to some shirts I grabbed at the craft store. The thing I ALWAYS forget is to flip the rotation so it's the mirror image you press down so the name is written correctly on the shirt. I also bought a book so that they would be familiar with the story when we put together our cookies and crafts.....though I was a little disturbed when I reread this book, but.....I think they can look past the morbid details towards the end for a few more years. I tied together my shirts, books, invite and some cut outs and sent them at the beginning on December. Party details to come....lots and lots of party details.